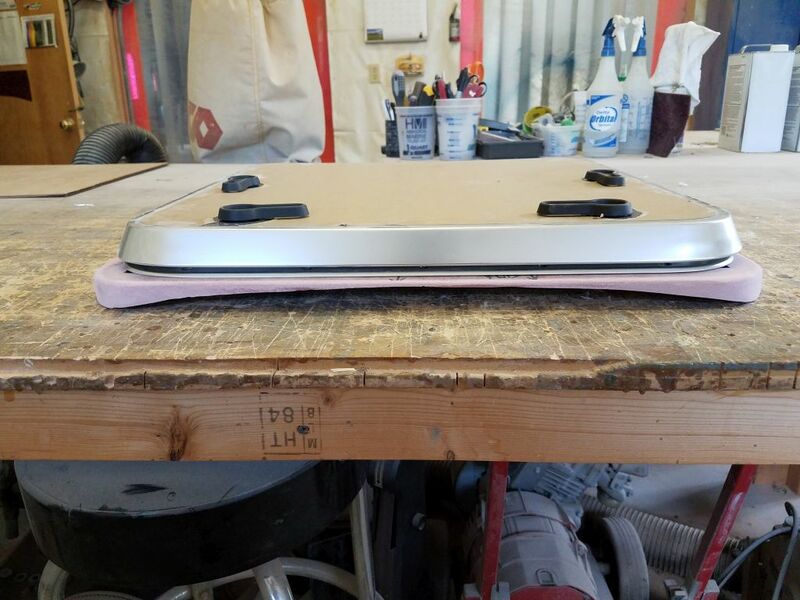 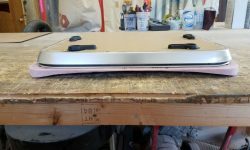 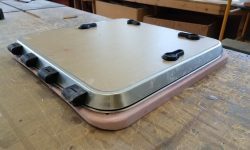 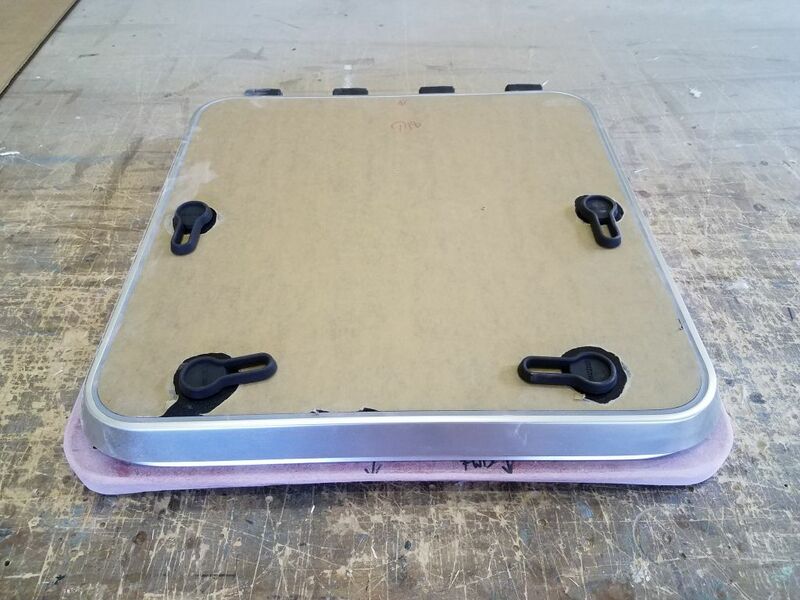 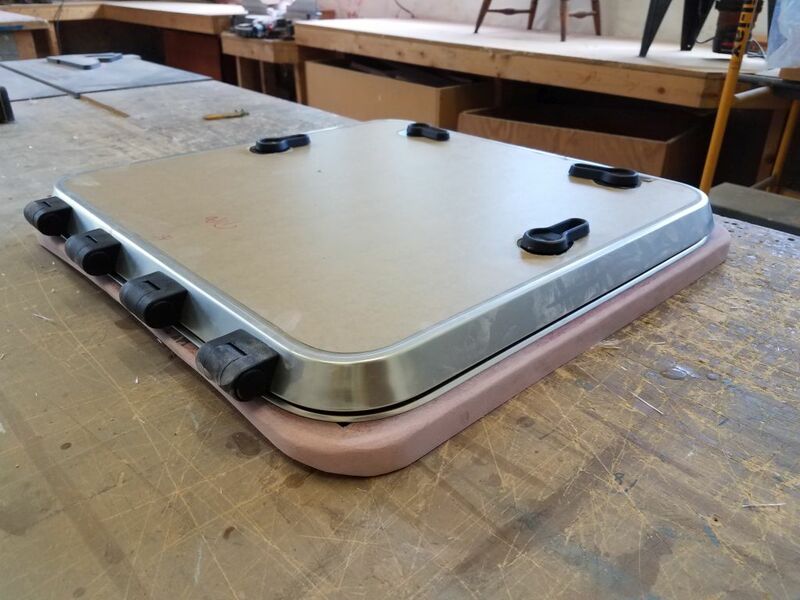 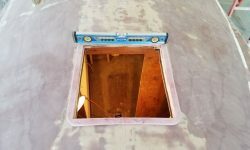 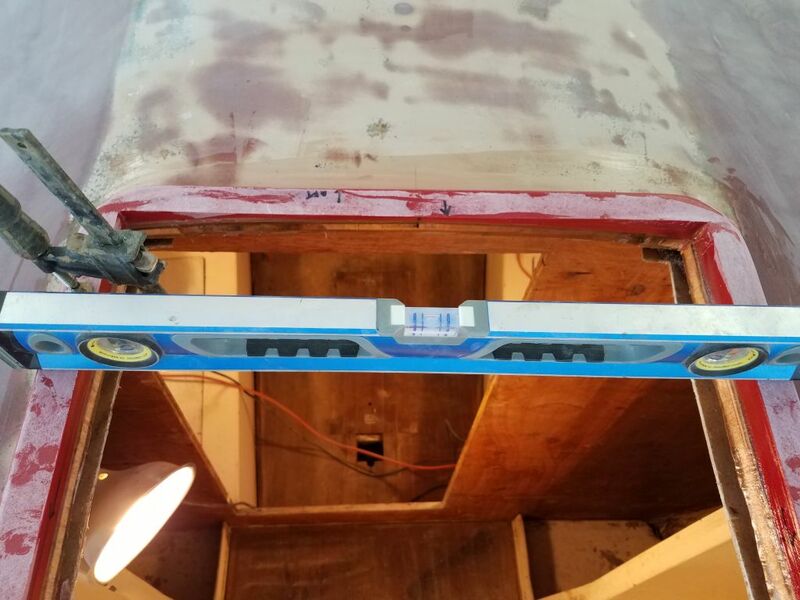 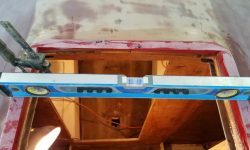 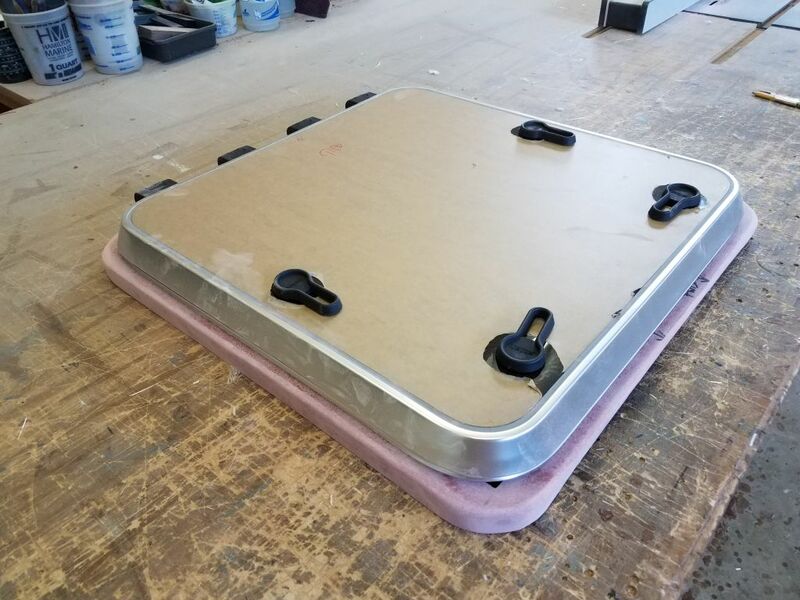 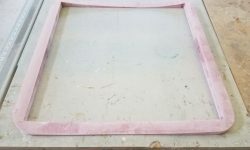 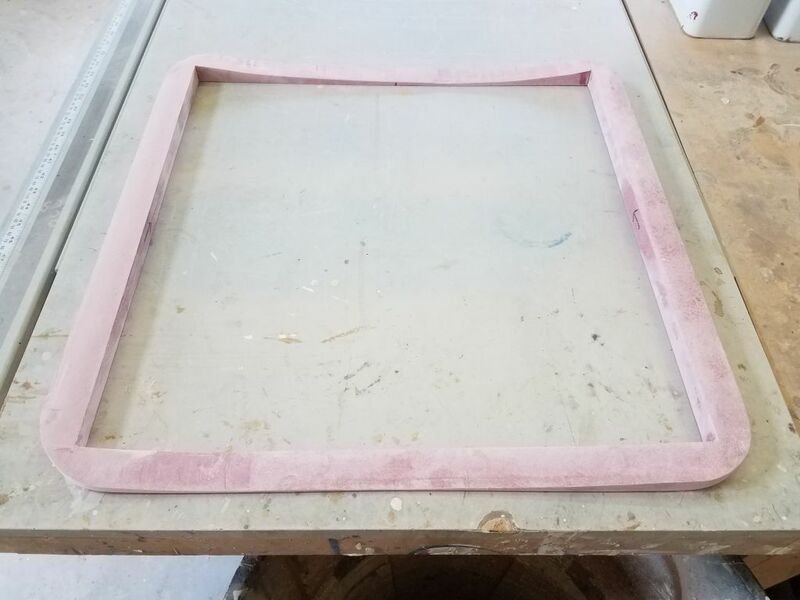 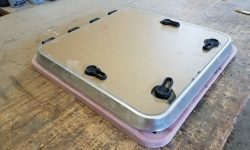 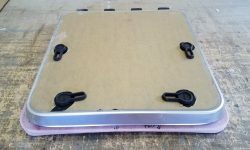 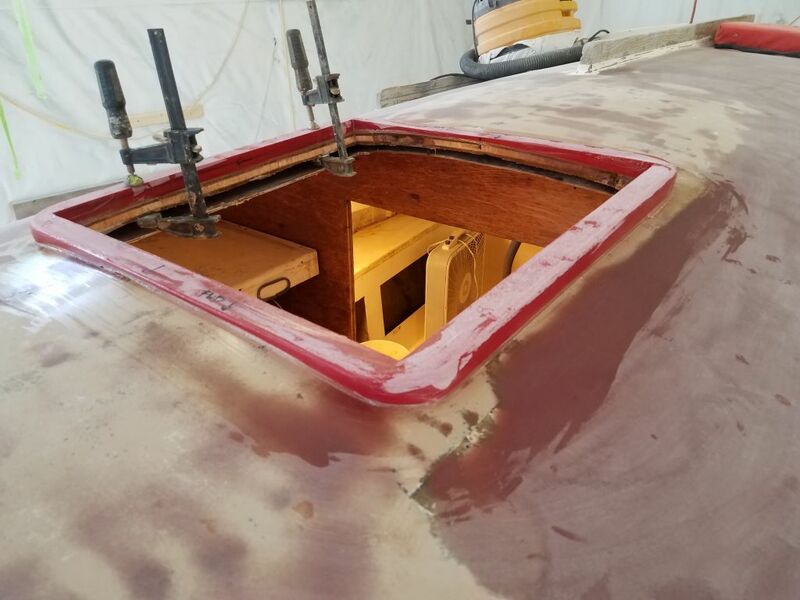 After unclamping the fiberglass forward hatch frame, I cleaned up the joints as needed to remove excess epoxy, trimmed the excess length from the foreward and after pieces, and finished up shaping the bottom (bonding) side so the assembly fit the deck properly and as intended. 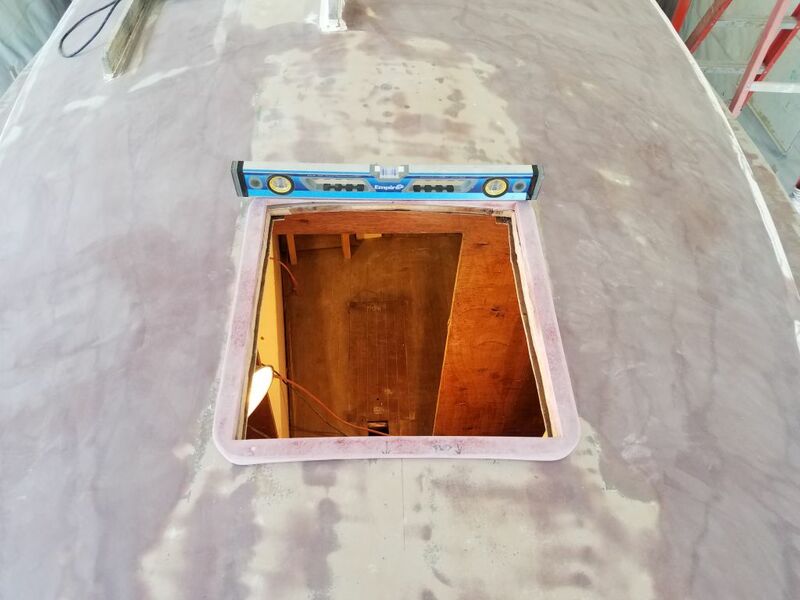 I rounded the four corners to correspond with the rounded edges of the hatch itself. 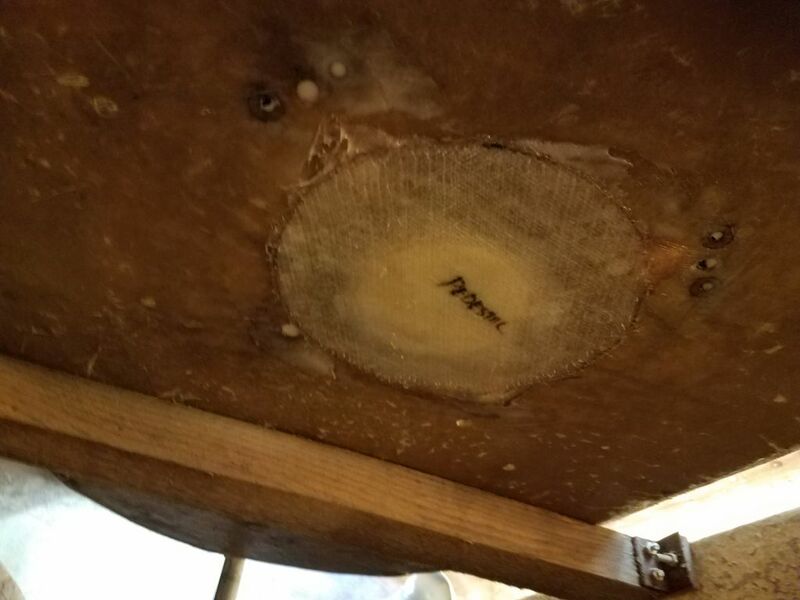 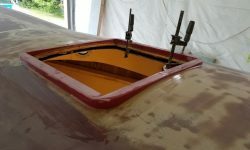 After cleaning all the surfaces as needed, I bonded the frame to the deck in a heavy bed of thickened epoxy adhesive, ensuring the top remained flat and level during the process (clamps mainly to bring the starboard side down just a touch for level). 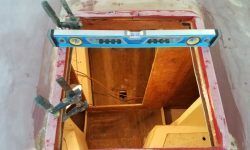 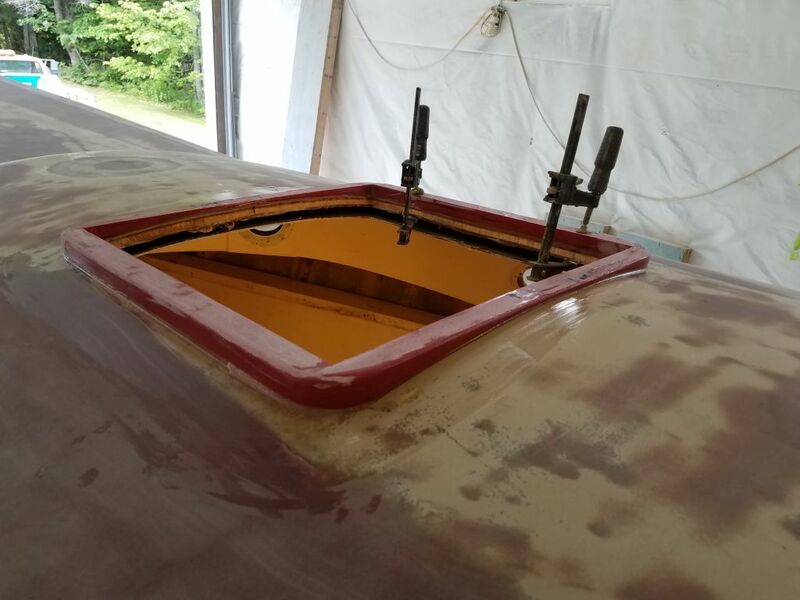 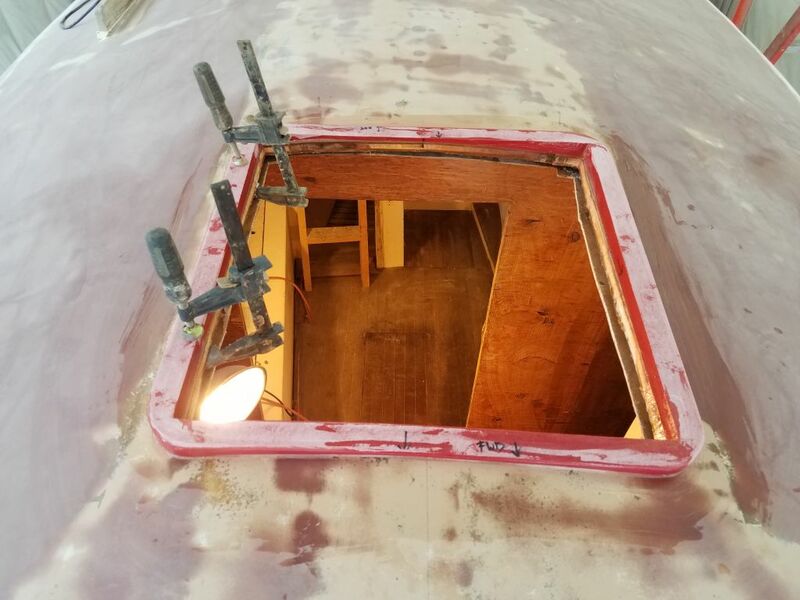 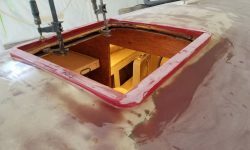 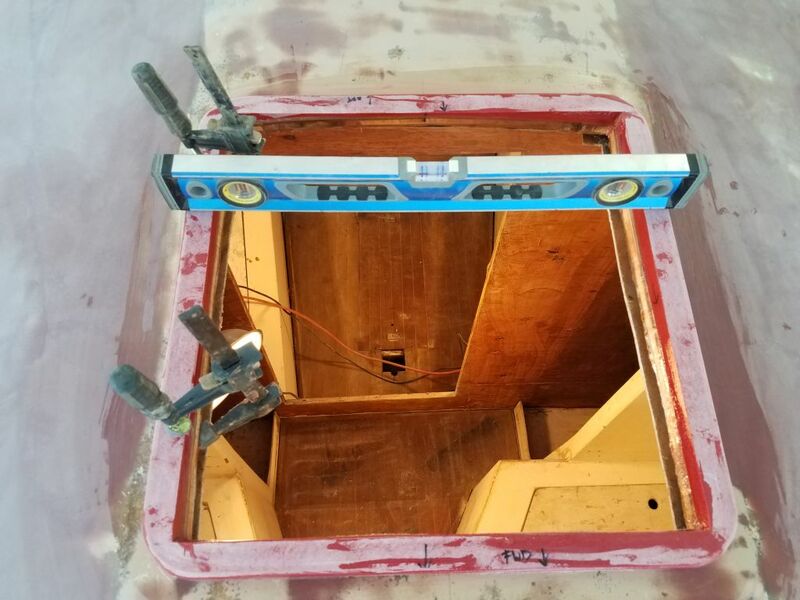 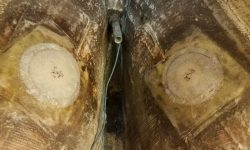 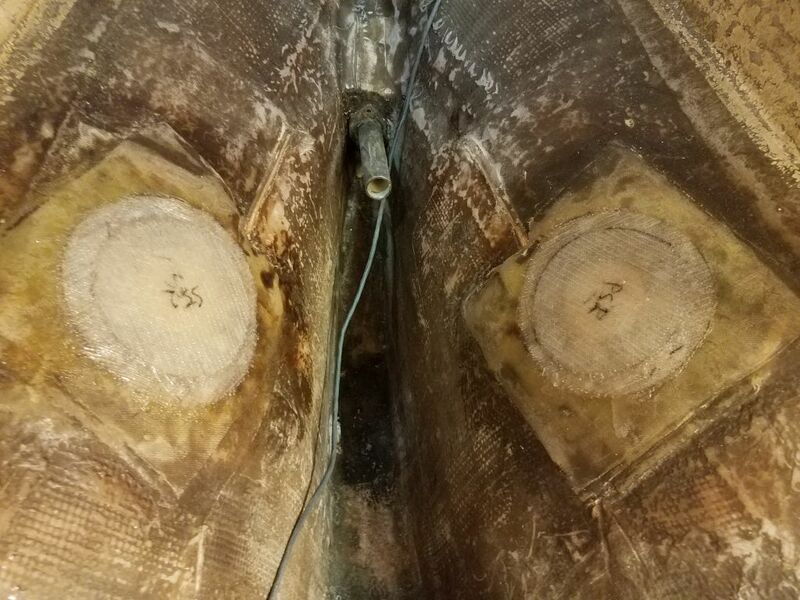 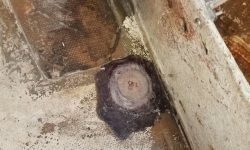 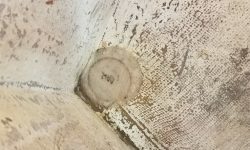 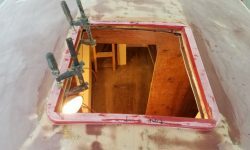 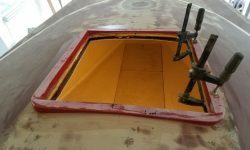 Next, I wet out and installed all the through hull and deck hole patches (fuel fill and pedestal) in the after part of the boat, including several old transducer locations, the cockpit scupper openings, and old engine intake fittings. 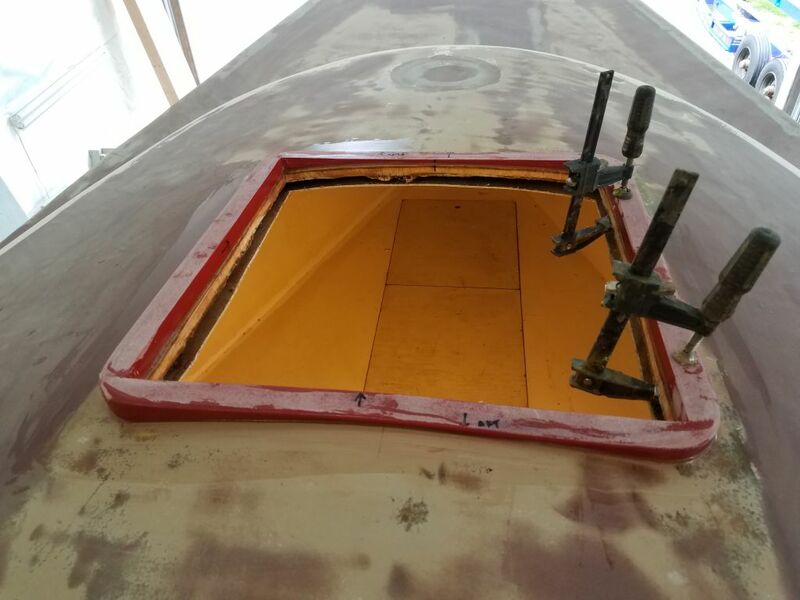 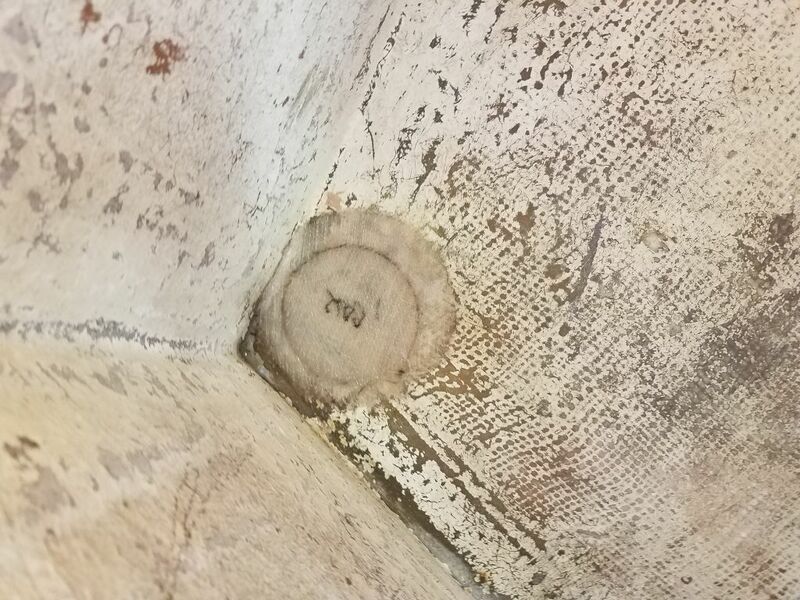 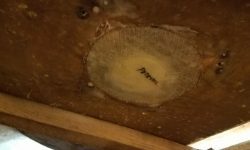 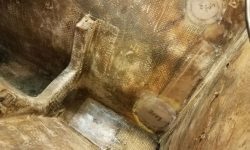 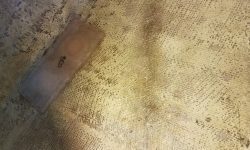 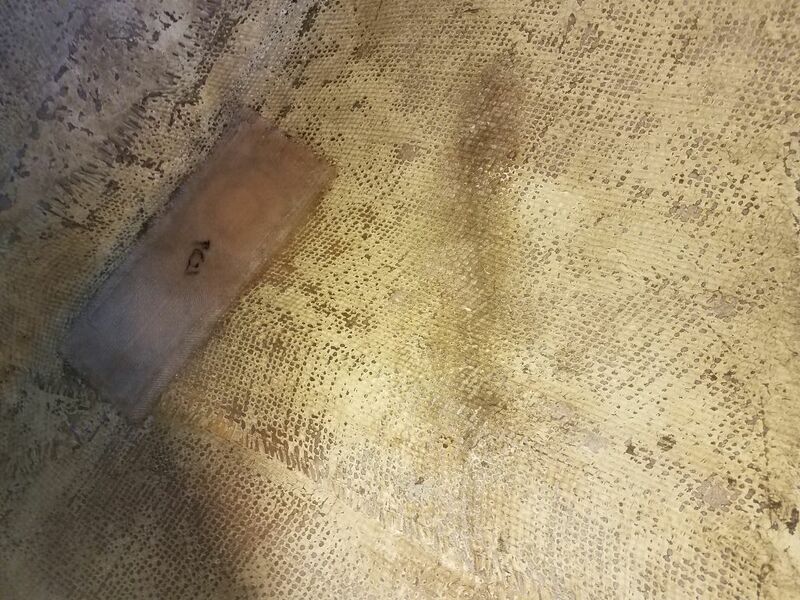 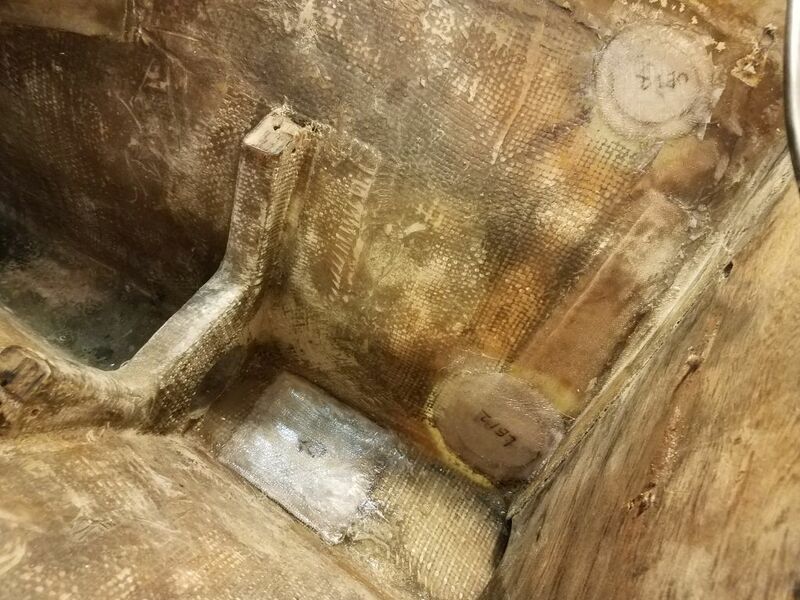 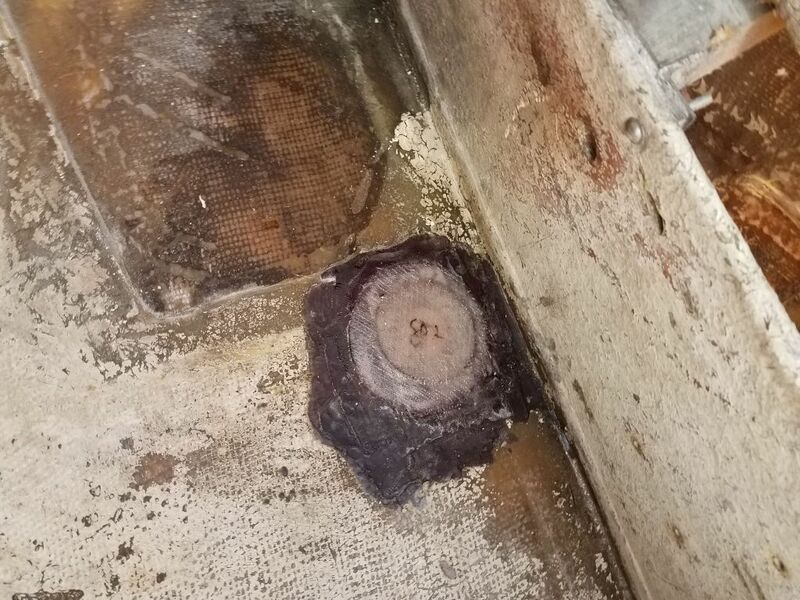 Some additional through hulls in the forward parts of the boat weren’t yet ready for the interior patching, as I’d not yet sanded or prepared those areas.